When it comes to monetizing digital social interactions, Kenya’s Safaricom has its own order. American tech companies such as Facebook and Twitter offered social networks first, then moved to commercialize them. Through its M-Pesa mobile money product, Safaricom built one of Africa’s most robust commercial webs and now aims to leverage it as a social network. The vehicle is the company’s new Bonga platform, something Kenya’s largest telco rolls out in pilot phase this week. An outgrowth of the Safaricom’s Alpha innovation incubator, “Bonga is a conversational and transactional social network,” Shikoh Gitau, Alpha’s Head of Products told TechCrunch. “It’s focused on pay, play, and purpose…as the three main things our research found people do on our payment and mobile network,” she said. Gitau offered examples: pay could be using M-Pesa and SMS to coordinate anything from tuition payments to e-commerce, play spans online sports betting to gaming, and purpose includes SMS or WhatsApp chat groups that raise money for weddings, holidays, or Kenya’s informal investment groups. 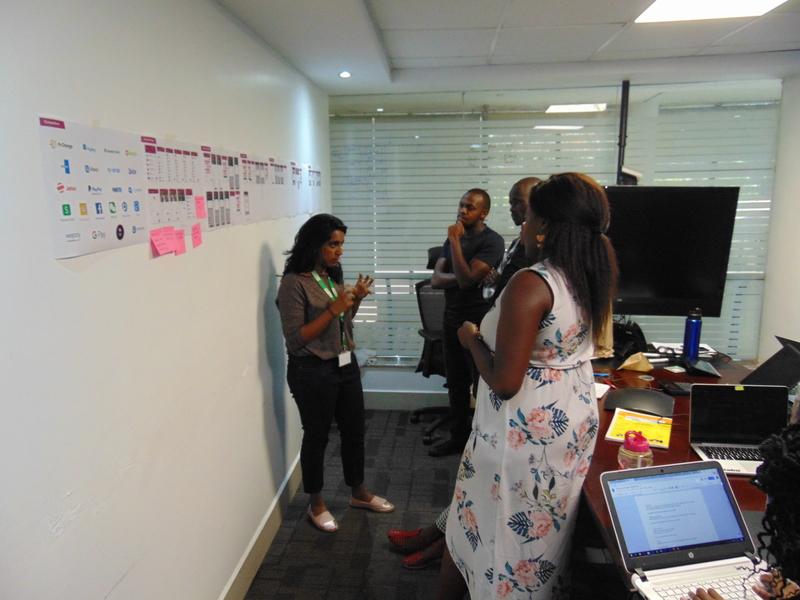 “In our [Bonga] research we’ve said ‘what can we do to build upon those three network behaviors in our network that is Safaricom?,’” she said. I recently sat in on an Alpha product development session in Nairobi and talked to Safaricom CIO Kamal Battacharya on his vision for the product late last year, as reported at TechCrunch. “Safaricom’s unique in that we have telco services and a financial services platform that connect nearly every household in Kenya largely on the basis of trade,” he said. As a telco, Safaricom­—still has 69 percent of the Kenya’s mobile subscribers. Its M-Pesa fintech app―which generated $525 million of the company’s $2 billion annual revenues―boasts 27 million customers across a network of 136,000 agents. Through in-house development and partnerships, the company continues to add consumer and small business-based products to its mobile and fintech network. These include digital TV, the M-Kopa solar-powered lighting kit, and Lipa-Na bill pay service. This week Safaricom will offer Bonga to a test group of 600 users, before updating the product, allowing the initial group to refer it to friends, and then extending the platform in three phases. Bonga Sasa will facilitate messaging and money transfer between individuals, “enabling users to send or receive money while conversing with each other,” according to a Safaricom release. For example, through Bonga Sasa a parent can send money to the child without having to leave the platform to access another money transfer tool. Bonga Baraza, expected in mid-2018, will allow users to collect money for purpose driven events, including Kenya’s harambee collective fundraising drives. Bonga Biashara will build on this use of social networks for commerce. Digitizing Kenya’s extensive informal trading commerce is at play here. Alpha’s research found roughly “2.5 million people doing side-hustles with a smartphone in Kenya” and 12.5 million total running small businesses on smart and USSD devices, according to Gitau. Bonga will channel Facebook, YouTube, iTunes, PayPal, and eBay in one platform. Users will be able to create business profiles parallel to their personal social media profiles and M-Pesa accounts and sell online. Bonga will also include space for Kenya’s creative class to upload, shape, and distribute artistic products and content. Safaricom is exploring how to take Bonga beyond Kenya’s borders, which could include markets where both M-Pesa and Vodafone are present: currently 10 in Europe, Africa, and South Asia.